The romance is over, but Booth still has a message of love to share — for Bachelor Nation. 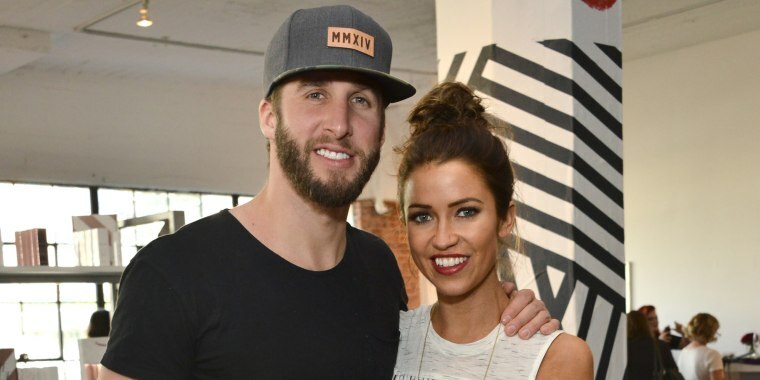 It's been more than a week since former "Bachelorette" stars Kaitlyn Bristowe and Shawn Booth revealed that their three-year engagement was over, and now the man who popped the question to season 11's leading lady has something to say in the wake of their split. In an Instagram post aimed at faithful members of Bachelor Nation, Booth shared a message of thanks. "I just want to thank everyone who has been so supportive of my relationship with Kaitlyn over the years," he wrote in the caption alongside a photo of the two of them surrounded by their fans. "You’ve made me feel incredibly special, supported, and very loved. So from the bottom of my heart, thank you. It truly means a lot. And thank you to everyone who has sent their love & support during this painful time." He ended the message noting that while his love story with Bristowe is ending, his affection for their supporters remains unwavering: "I love you guys." Booth and Bristowe announced their seemingly amicable breakup via a joint statement on Nov. 5. "After three incredible years, we have decided to go our separate ways," it read. "This difficult decision comes after thoughtful, respectful consideration. Even though we are parting as a couple, we’re very much committed to remaining friends and we will continue to support each other. Due to the nature of how we met, our relationship has always been very public, and we have enjoyed sharing it with all of you, but we ask that you respect our decision and our privacy at this time." Booth beat out 25 other men in the competition for Bristowe's heart back in 2015, including two-time runner-up Nick Viall, who later went on to become the "Bachelor." When Bristowe accepted Booth's proposal, she told her now-ex, "I can't wait to make a lifetime of memories with you and only you, because you are the one and always will be."